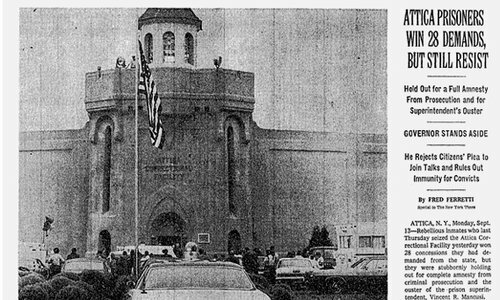 On September 9, 1971 the Attica Correctional Facility in upstate New York forced its way into newspaper headlines across the United States. On that day roughly 1300 prisoners took control of the facility in response to years of mistreatment and harassment. In American history there have been many violent protests that have led to the death or wounding of those who took part. Whether they involved Native-Americans, Vietnam anti-war demonstrators, organized labor, or Afro-Americans the causes and results of these events were documented and analyzed carefully by historians. In the case of Attica, where 40 individuals, prisoners and hostages were killed and hundreds wounded, government officials placed immediate road blocks to thwart an objective investigation. Government officials did not want the truth to come out, particularly New York Governor Nelson Rockefeller and his administration because of errors in judgement and outright incompetence when hundreds of poorly trained New York State troopers and prison guards were sent into the facility with shotguns blazing. The Rockefeller administration immediately put out misinformation about what occurred, particularly when autopsies showed that the hostages were killed by indiscriminate gun fire, and not by prisoners. Coroners were pressured to bury the truth as were other officials who disagreed with prison administrators and Rockefeller and his cohorts. It took many years to overcome the opposition to releasing what actually took place. Finally historian Heather Ann Thompson in her comprehensive history, BLOOD IN THE WATER: THE ATTICA PRISON UPRISING OF 1971 AND ITS LEGACY has addressed all the major issues and individuals involved through her doggedness and refusal to accept no for an answer as she rummaged, researched, filed numerous freedom of information requests, interviewed participants and survivors in her quest to uncover the truth. According to Thompson the gap in the historiography pertaining to Attica existed because of the obstruction by those who knew what really occurred and were concerned with the backlash that would result if the truth came to the fore. Part of that truth were the conditions that existed in Attica as well as many other prisons nationwide. Thompson describes a system overseen by Attica’s Superintendent Vincent Mancusi that suffered from overcrowding, lack of medical care, poor training of correctional officers, using prisoners as free labor to the tune of $12 million per year, no visitation for common law families, which effected one quarter of the inmate population, a capricious and arbitrary parole system, censorship of reading material and letters, medical experiments, and an overall atmosphere of racism. The prison itself was built in 1930 and by 1971 its facilities had never been updated to accommodate an increasing number of prisoners whose racial makeup was no longer predominantly white, and the crimes they were incarcerated for did not fit the patina of the 1930s. Thompson’s book is very disturbing and the events of September, 1971 were greatly affected by the political climate of the 1960s. At that time politicians moved toward “law and order” planks as demonstrated by the Nixon administration in 1968 and as the 1972 election moved closer. The “law and order” approach greatly affected the funding and operation of America’s prisons. As politicians in the north and south saw crime as the greatest problem in society, they decided to wage war against it. This would lead to the imprisonment of more inmates than in any country in the world. In New York state Governor Rockefeller, known as a “liberal Republican saw Nixon’s crime agenda as an impediment to his own quest for the presidency. By 1970 he began to change his image to a more conservative politician who was tough on crime. 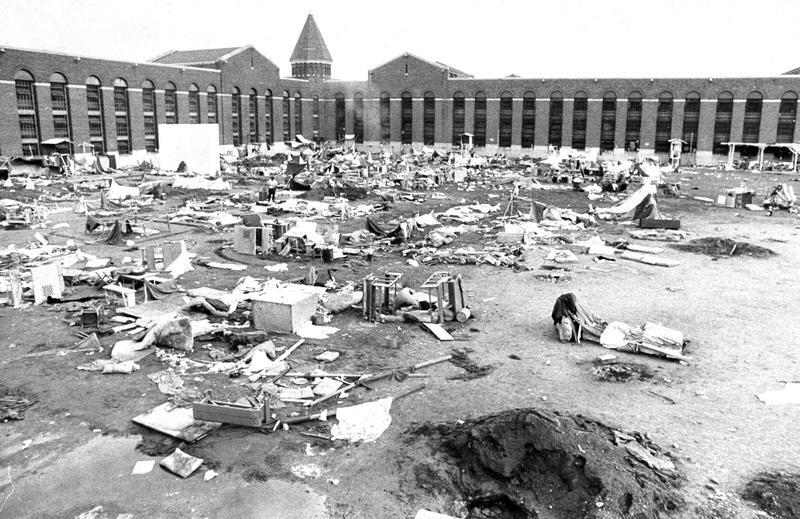 An uprising at the state prison at Auburn, NY was a precursor to events at Attica. What occurred at Auburn should have served as a wakeup for New York State Prison Commissioner Russell Oswald to investigate inmate grievances, because prisoner reform advocates, New York ACLU lawyers and others were becoming very involved and wanted to investigate prisoner complaints. The prison population was younger and more politically aware than previous generations. Members of the Black Panthers, Young Lords, Black Muslims, and Weather Underground placed an emphasis on acquiring knowledge as they worked for improved educational programs. For them, knowledge meant power and it was used to convince prisoners that what occurred to them on the inside mirrored what was occurring in the outside world. From that perspective Thompson is correct that Attica was a prison that was about to explode in September, 1971. The first half of the narrative concentrates on prisoner frustration concerning their treatment and the lack of response by prison officials to their concerns, the seizure of the facility by inmates, the negotiations that were conducted to try and resolve the situation, and the final storming of the facility by New York State troopers and correctional officers. In so doing Thompson provides intimate details of every important aspect of the crisis. Thompson takes the reader inside the lives of inmates, negotiators, administrators, correctional officers taken hostage, and individuals brought in from the outside to try and alleviate the situation. In each section Thompson introduces important individuals to highlight what was about to be covered. A few of the most powerful are portraits of Michael Smith, a correctional officer who is severely wounded by gunfire; Tom Wicker, a New York Times reporter who was brought in as an observer; Tony Strollo, a New York State trooper whose brother Frank was a correctional officer inside the facility; Elizabeth Fink, a lawyer who defended the prisoners and tried to gain compensation for them and their families; and Malcom Bell, an investigative lawyer who turned whistleblower against the state. The reader will witness the motives that laid behind the actions of the major participants and how it influenced their behavior. Thompson leaves no rock unturned as she explores every aspect of her story and reaches the conclusion the massacre that takes place at Attica did not have to happen, but for Rockefeller’s selfish concern for his political career and the party line that “black revolutionaries” and outside agitators were responsible for the uprising, the lack of training provided for the New York State Police for this type of operation, and the seeming stubbornness and vindictiveness of prison officials and many correctional officers in dealing with a situation that had gotten totally out of hand. The second half of the narrative encompasses the attempts to cover-up the truth by the Rockefeller administration and statewide prison officials, the brutal treatment of prisoners by correctional officers following the retaking of the prison, the attempts by inmate families, and families of correctional officers (hostages) that were killed to learn the truth. The obfuscation, misinformation, direct interference to learning the truth, and outright lies dominate the experience of anyone who disagreed with the findings that the leaders of the cover-up who feared what would happen should the truth emerge dominates the narrative. The atmosphere that the different investigative commissions operated under created a very difficult situation as Thompson is correct in pointing out that “the nation’s most powerful politicians viewed Attica as part and parcel of a revolutionary plot to destabilize the nation as a whole would have profound consequences for how officials, both state and federal, handled official investigations.” (267) A further impediment to learning the truth were the actions taken by Governor Rockefeller, his staff, prison officials, New York State Police officials and correctional officers to corroborate their stories to make sure they would achieve the outcome they desired from any investigation. Thompson examines each investigation and then goes on to the legal effort by the families involved to learn the truth and gain compensation and better treatment for those who perished and those who survived. 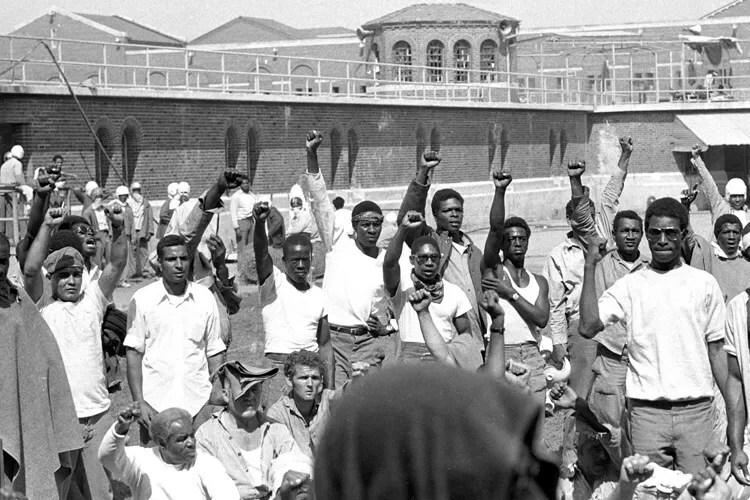 Overall, it took three years for the state to bring inmates to trial for the uprising. The most common theme dealt with those who were prosecuted, those who was not, the coercion of inmates to testify, and the uneven field that was created for prisoner defense lawyers. As Malcom Bell, a lawyer recruited to Special Prosecutor Anthony Simonetti’s team pointed out when he became a “whistle blower” after experiencing the abuses of the prosecution, “it struck [me] as odd that so much effort was going into prosecuting prisoners from Attica when the officers had killed ten times as many people as the inmates had.” (403) Bell tried to gain support for his findings, even writing a report for Hugh Carey, then the recently elected governor of New York. After waiting months Bell grew tired and contacted Tom Wicker and the story ran in the New York Times creating a firestorm. The overall approach was clear, the prosecution of inmates was of the utmost importance and the case against law enforcement was a much lower priority. What followed was an investigation of the investigation and perhaps Thompson’s best chapter. Thompson discusses the prosecution of the prisoners in a very clear and concise manner. The key conviction that Simonetti’s team sought was the murderer of corrections officer William Quinn. The Quinn case as with other prosecution cases produced witnesses that were not very credible. Most had not even been at the scene of the supposed crimes, they had been coerced into testifying, or they were promised early parole, reduced sentences, or total release. Prejudiced judges in the first two cases gained convictions but once Bell became a whistle blower prosecution tactics began to change particularly when going after New York State police officials where increasing evidence that they interfered with the collection of materials and issued orders designed to protect troopers and themselves emerged. Men in Simonetti’s office were fully aware that the top brass in the NYSP were hiding and destroying evidence. Bell grew angrier and sent numerous letter to Simonetti pressuring him to go after State Police officials like Lt. Colonel George Infante, Captain Henry Williams, and Major John Monahan, but the Special Prosecutor chose to ignore Bell’s requests over and over. The theme of culpability for the Attica uprisings pervades Thompson’s narrative, and like a fish that rots from the head down we see the interference and strategy of the Rockefeller administration throughout. 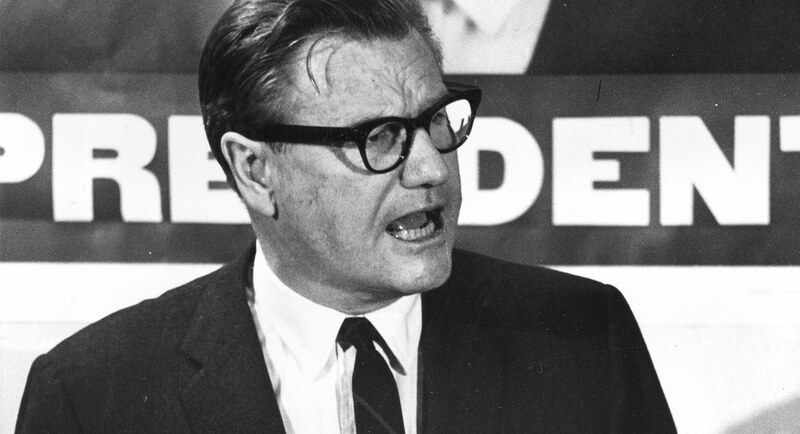 By the time a number of these cases finally reached trial, Nelson Rockefeller was undergoing Congressional hearings to be approved as Vice President once Richard Nixon resigned. Angela Davis made the correct comparison when she pleaded before the committee not to approve Rockefeller. Here was a man who refused any empathy toward the prisoners. He would not go to the prison, he would not grant any paroles or pardons. However, President Gerald Ford pardoned Richard Nixon for his crimes, why couldn’t the Governor of New York do a little of the same? Thompson completes her history of Attica by exploring the long road taken by inmates to seek redress in the New York State courts. Led by attorney Elizabeth Fink they fought for years to overcome a new round of legal stalling and machinations as inmates, and families of inmates who had passed away fought “the system.” As in other parts of the narrative Thompson provide minute details as the years passed until the trial of prison administrators in the early 1990s. Partially successful the next battle would be over monetary damages to the inmates. Fink led the former prisoners through the labyrinth that was the New York court system and finally in 2000, almost thirty years later a settlement was reached. This created tension with the families of the forgotten hostages who received nothing from the state despite promises. They would begin their own war to receive compensation that was somewhat successful, but just as with the prisoner settlement New York State refused to grant them an apology or any admission of wrongdoing for the massacre at Attica. Reading Thompson’s study can be exhausting due to the detail and the emotion in which the author presents her material. However, she has done a wondrous job of research and picking apart the documentation that she uncovered. For those who lived through the Attica uprising you will be amazed at what Thompson has uncovered. If you are younger and have never heard or thought about Attica and prison reform this book will be a revelation. When Barrack Obama was elected president and assumed office in 2009 most people expected that there would be vast changes to America’s pursuit of the war on terror. If one followed Obama’s rhetoric while serving in the state Senate in Illinois, the United States Senate, and during the 2008 presidential campaign one would probably have drawn the conclusion that once in office the Bush-Cheney policies following 9/11 would be in for drastic change, but according to New York Times reporter Charlie Savage’s new book POWER WARS: INSIDE OBAMA’S POST-9/11 PRESIDENCY that was not the case. As Savage writes, “having promised change, the new president seemed to be delivering something more like a mere adjustment – a ‘right-sizing’ of America’s war on terror.” Savage has done an incredible job using his sources inside the Bush and Obama administrations, along with his access to legal scholars throughout the United States in producing an extremely detailed account of how members of the Obama administration went about determining the legalities of its policies in dealing with the war on terror. The result is a text that is a bit over 700 pages that is at times extremely dense and difficult to stay with. However, if one does pursue the task of getting through the myriad of legal arguments that are presented you will become well informed about how the American legal system, and to a lesser extent international law, deals with the nuances of trying to create and justify a lawful approach in dealing with numerous aspects of defending our country against terrorism, but at the same time protecting civil liberties, and abiding by its commitment to the rule of law, the right process, and not being a carbon copy of the Bush administration. The result is a book that is as lawyerly as its subject matter, and not designed for the general reader. The question must be asked, was Obama a legal hypocrite? Before he took office Obama produced many flowery phrases in criticizing the methods employed by Bush and Cheney. He spoke of the use of torture, the violation of the privacy of American citizens, and the illegalities of data and intelligence collection, but once in the White House he engaged in many of the same practices. Extraordinary rendition, NSA surveillance, CIA drone strikes, and the lack of transparency were among the policy choices that Obama engaged in-this wasn’t even “Bush light,” it was more like something close to his evil twin, but with an intellectual justification for everything they did. The comparison with the Bush administration is well presented as Savage reviews the evolution of Cheney’s unitary view of presidential power going back to the 1970s and Watergate which produced a resurgence of congressional power. Savage also traces the convoluted legal arguments that Bush-Cheney concocted to implement its national security agenda. The key person was John Yoo, an important Justice Department official after 9/11 who argued in numerous secret memorandums that the “president, as commander-in-chief, had the constitutional authority to lawfully take actions that were seemingly prohibited by federal statues and treaties.” The Bush administration was in the business of creating executive-power precedents i.e., wiretapping without warrants, withdrawing the United States from the ABM treaty with Russia unilaterally, setting aside the Geneva Convention in dealing with POWs in Afghanistan, and not seeking congressional approval for these actions even though Congress had ratified these treaties. The Bush administration established military commissions to prosecute terrorist suspects outside the civilian court system and created theories, set precedents based on these theories, and acted on them defying statutory constraint. Obama’s critiques against these policies were based on violations of civil liberties and the rule of law, since there was no legal process to support what they were doing. The Bush administration, with Vice-President Cheney leading the way sought to limit Congress and the courts, increase government secrecy, and concentrate as much unchecked power in the upper levels of the executive branch as they could. Many Obama supporters and administration members argued that some of Bush’s policies were in fact correct, but they needed legislative approval before they could be implemented. For Obama and his core of liberal legal appointees the failed “underwear bomber,” Umar Farouk Abdulmutallab’s attempt to blow up a Northwest Airlines passenger plane end route to Detroit Christmas day, 2009 dramatically altered their approach to the war on terror. For the president he realized that a successful terror attack on American soil could destroy his entire domestic agenda, be it health care or the many programs Obama hoped to implement. All of a sudden he had to live with the day by day security needs of the United States and keep its citizens safe. This did not mean he would drop his lawyerly, overly cautious approach to policies, but in the end terrorism and the threat to the homeland was real, not a theoretical concern. As Savage writes, Obama threatened to fire people if the missteps surrounding the incident were repeated. “It’s strict liability now, he said, echoing George Bush’s “don’t ever let that happen again directive to Attorney General John Ashcroft soon after 9/11.” As Jack Goldsmith writes in The New Rambler, Savage’s account of Obama’s continuity with Bush “breaks less new ground than does his reconstruction of the many ways in which it expanded the President’s war powers from the Bush baseline.” For example, the drone strike program was expanded dramatically, in part because of the improved technology that did not exist under Bush, and its use in targeting four American citizens in Yemen, chief among them was the cleric Anwar al-Awlaki, who was an American citizen. Savage does a nice job exploring al-Awlaki’s relationship to the “underwear bomber” as well as the legal debates within the administration to determine whether the US was justified in killing one of its own citizens without due process. The lawyerly approach reached the conclusion it was legal if the target was an imminent threat to the United States. Scott Shane’s recent book, Objective Troy does an excellent job detailing this aspect of Savage’s work. 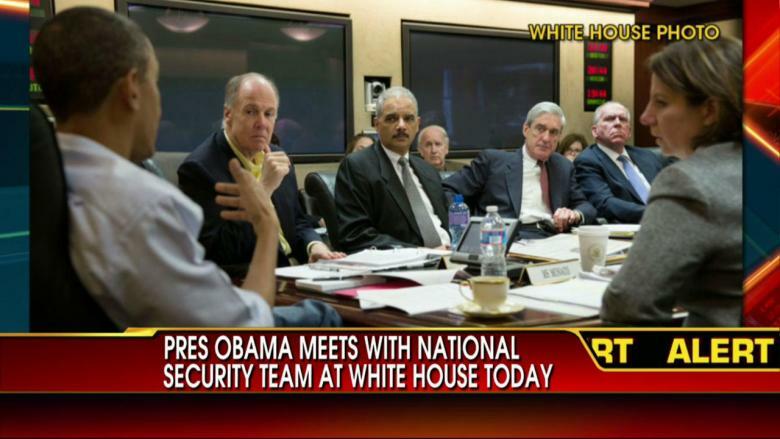 After the near miss on Christmas day Obama was faced with a great deal of Republican criticism. Buoyed by the victory of Scott Brown in Massachusetts who won a special election for Ted Kennedy’s Senate seat employing national security as his core message, Republicans in congress called for terrorism captives to be handled exclusively by the military. According to Savage, all of a sudden Obama was attentive and deeply involved as he realized that terrorism could shape his presidency. What follows is a series of detailed arguments within the Obama administration dealing with all aspects of terrorism policy from 2010 through 2014. It seems that Savage does not miss any subject as it related to the war on terror. The closing of Guantanamo comes up repeatedly, whether dealing with freeing inmates, closing the prison, adding new detainees etc. The legalities of surveillance policy and the use of F.I.S.A. courts encompasses a significant amount of the text. The debate as to whether captured detainees should be tried by military commissions as opposed to civilian courts is dealt with from the legal perspective as well as that of political partisanship. The debate as to whether al-Shabaab, the Somalian Islamic terrorist organization was an associated force of al-Qaeda to justify targeting its members with drone strikes is fascinating. The Snowden leaks makes for interesting reading as well as the Obama administration’s responses to them. In reality Obama was less successful in reducing presidential power than he anticipated, and he often supported his own novel expansions of presidential powers. When he needed to expand executive powers like going after ISIS with drone strikes in Libya, he did not feel constrained. As a result Savage decides that Obama was less a transformative president after 9/11, but more so a transitional one. As James Mann writes in the New York Times, Obama created a “lawyerly” administration that added “an additional layer of rules standards, and procedures to the unsettling premise that the United States was still at war and would, of necessity, remain so with no end in sight.” I agree with Mann that this is the major theme that the reader should extract from all the legal theories and lawyerly language that Savage presents, if one can get plough through the tremendous amount of material that is reviewed and analyzed.